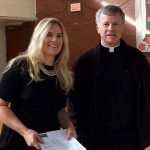 Father Brian Gannon, Pastor and Karen Lannigan, Director of Youth Ministry, want to thank Bishop Frank Caggiano, The Diocese of Bridgeport, and The Leadership Institute for the opportunity to apply and receive a grant through the Re-imagining Faith Formation Initiative. 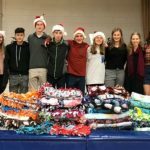 This spring St. Theresa’s was awarded a grant from the Saint John Paul II Fund in recognition of the innovative approach to establishing a Youth Group for high school teens. This new Youth Ministry focuses on serving God through various service initiatives. 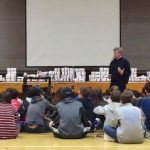 St. Theresa’s is greatly appreciative of the opportunity to establish this youth ministry. We anticipate much from our youth. We are off to a great start with our Youth Group ministry leaders being afforded formal training with Lifeteen, a highly recognized youth ministry program. To learn more about our upcoming engaging camps, events, and gatherings please e-mail Karen Lannigan or submit inquiries to youth@sttheresatrumbull.org Drop-ins are always welcome!